BELGRADE – Serbia's mining industry could expand to 5% of national output by 2023 if foreign investors keep commitments to plough millions of dollars into copper and lithium production, its Mining Minister said. The sector currently accounts for 1% of Serbia's gross domestic product. But since 2000, when a decade of isolation of the former Yugoslavia ended, more than 40 foreign companies, including Rio Tinto, Nevsun, Zijin Mining and Mineco, have either started to extract or prospect for minerals in Serbia. "Serbia's mining sector (is) the most dynamic sector in the country," Mining Minister Aleksandar Antic told Reuters in an interview conducted on Monday. Rio Tinto and China's Zijin Mining are potentially the biggest investors. 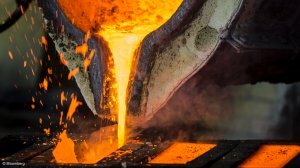 Zijin won a tender in August to become a majority owner in Serbia's sole copper producer, RTB Bor, pledging to invest $1.26-billion in the company. Serbia, which is seeking to join the European Union and is under pressure from the International Monetary to reform its economy, is selling stakes in indebted state companies to help spur growth, cut debt and relieve pressure on its budget. Zijin will also acquire Cukaru Peki Upper Zone, one of Serbia's most promising global copper and gold fields, which is being developed by Rakita, a local joint venture between Canada's Nevsun and Freeport-McMoran Exploration Corporation. Nevsun is being taken over by Zijin. Antic said the Cukaru Peki Upper Zone field would be ready for exploitation by 2023 and could attract $600-million of investment. "If Zijin develops what they pledged (for RTB Bor) and ... if it develops Nevsun's (Cukaru Peki) mine, that will secure production of around 200 000 and 250 000 t of copper annually, after the period of six years of investing, and that would make us third-ranked in Europe," Antic said. Foreign investment will create much-needed jobs in the country where the unemployment rate stands at just above 11 percent. The mining sector in Serbia, which has a population of around seven-million, currently employs around 22 000 people. In May, RTB Bor boosted production of copper ore by 32% to 3.67-million tonnes year-on-year. The company's copper concentrate output grew by 20% to 4 336 t in May, a 20-year high. Rio Tinto is seen as another major investor in Serbia as it seeks to develop technology to extract lithium and borate from a 136 million-tonne reserve of jadarite, a mineral named after the Jadar River in the West of the country. The company has not said how much it might invest in the country but Antic said it could be as high as $1 billion. "It is not good for us, as the state, to speculate about private investments (by Rio Tinto) ... but one could expect total investments of up to $1-billion," Antic said. Officials of the Rio Sava, a Rio Tinto subsidiary in Serbia, could not be immediately reached for comment. On its corporate website, Rio Tinto says that the jadarite project is currently in the pre-feasibility stage. "Significant investment is necessary to continue the technical analysis and planning which is required to move from pre-feasibility to feasibility, then to construction and operation," it said. The production of lithium from jadarite, expected to start in 2023, would amount to 10% of the global consumption of the metal crucial for the production of batteries, Antic said.